Scissor Lifts or Platform Lifts are great for working at height, far safer than a ladder or alloy tower and with the added bonus of being able to move whilst the operator is in the air. The new JCB Scissor Lifts are excellent quality and have a extending platform on rollers to enable easy deployment as well as a 110V electric feed to the platform to enable the easy use of tools. Folding handrails to facilitate entry to low head height areas. Working to heights of 25 foot or 7.5 metres. Being transported on the back of a trailer. Being moved safely due to the inbuilt safety devices. Reaching hard to reach areas with the 0.9m extension. Working out doors with one man. Working in doors with two men to a max platform weight of 230kg. 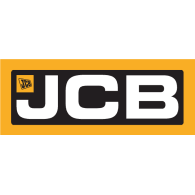 JCB have only recently entered the Access Equipment market but have soon won over many industry experts with reliable well made equipment that takes safety seriously. 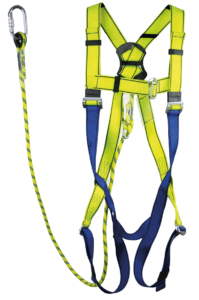 We stock a range of lanyards and safety harnesses. Please ask us for more details. 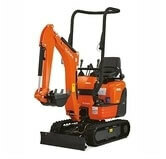 We also hire out Mini Diggers, so whether its above ground or below ground we will have the right tool for the job. High Lift Dumpers are the perfect partner to Mini Diggers, with a width of 114cm and a fold down roll over frame they are able to go most places a Mini Digger can. With a 1 ton capacity they make like work of shifting waste. 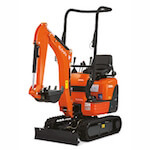 Micro Diggers are idea for fitting through narrow access restricted areas such as alleyways or even doorways yet still pack a powerfull digging force. 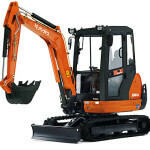 They are ideal for digging ponds, taking up large areas of turf or even for digging footings in those places where a standard Mini Digger just cannot access.